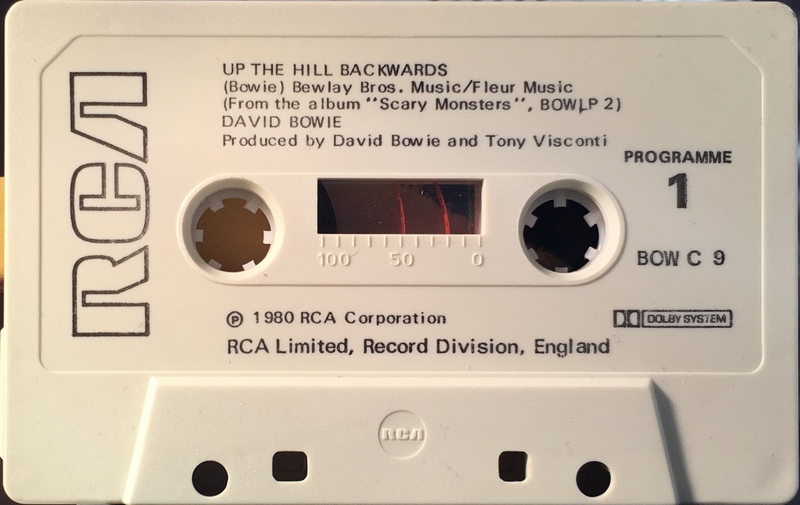 Up The Hill Backwards: UK; RCA, BOW C 9; 1981. 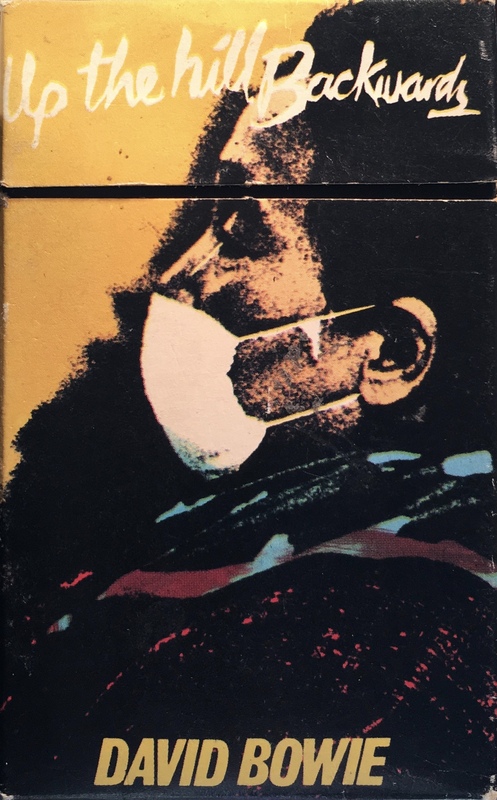 Picture cover ‘cigarette’ box with picture front, rear and side panels. Unlike the slip case this cover has a flip top like a cigarette packet to close the cover over with. 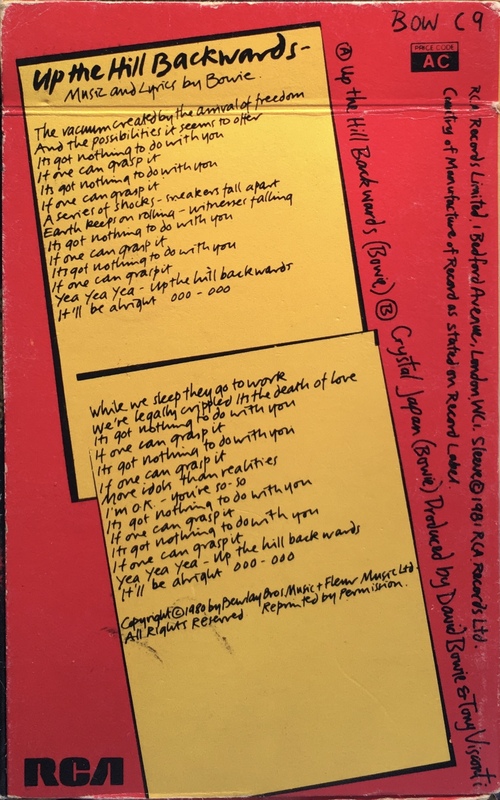 Track list and title song lyrics on rear panel. Price code ‘AC’ on rear cover panel. Black ink printed directly onto cream coloured shell with red RCA lead-in tape and marked RCA limited, Record Division, England. ‘RCA’ and ‘Dolby’ logos on shell. 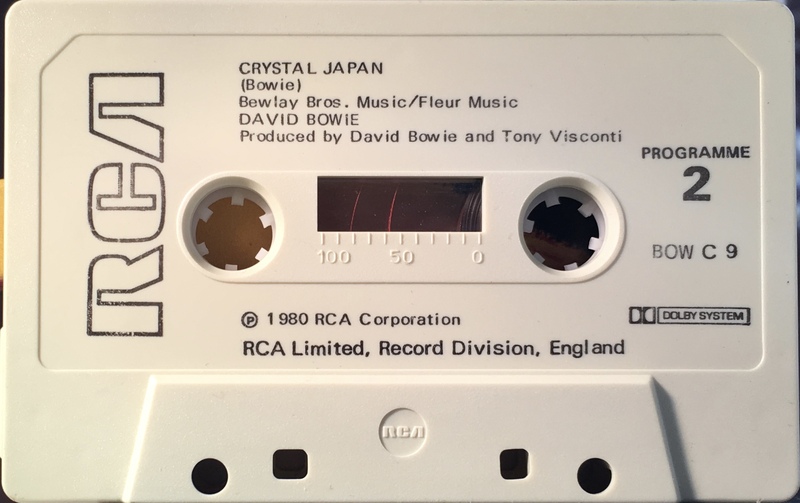 Side 1: Up The Hill Backwards; Crystal Japan. Side 2: Up The Hill Backwards; Crystal Japan.